Technology has advanced a lot in the recent times. We can ask for help regarding just anything today from those online. There are a number of buzz words and concepts in the air that define this era. One among them is crowdsourcing. While the concept behind this one is really simple, the power it holds is simply enormous. A number of popular everyday sites such as Google Maps and Wikipedia are based on it. What if I told you that you could use crowdsourcing to ask your crush out on a date? Sounds fabulous right? This is what the iOS app Textpert does. We have all been tongue tied in front of our crushes, losing out on precious dates because of excitement and because we do not know what to say. This is where Textpert comes into the picture. 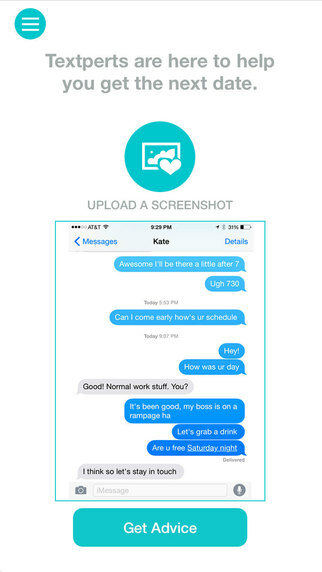 This app simply crowdsources your conversations. People online then analyse it and give you advice on how to ask your crush out on your next date. It’s that simple and amazing! All you have to do is download the app, login through Facebook and then take a screenshot of your conversation with your crush at the point where you need help. You then upload this screenshot on the app and people will advise you with replies within a matter of seconds. In case the conversation is confusing or needs some background, you can always provide that alongside the image. Another frequently asked question is- how to select the best reply. Well, the answer is quite simple and cleverly implemented. All those replying on the app are given star ratings by other users. Just by looking at these ratings, you can know the impact the replies of a certain person have had. If you’ve been through those circumstances in the past and think you can help someone out, then you mighty well should. 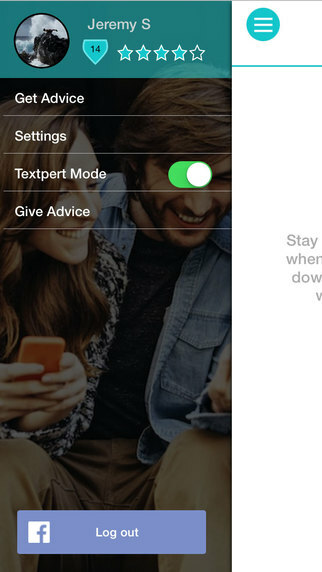 Another aspect of the app is to give advice. 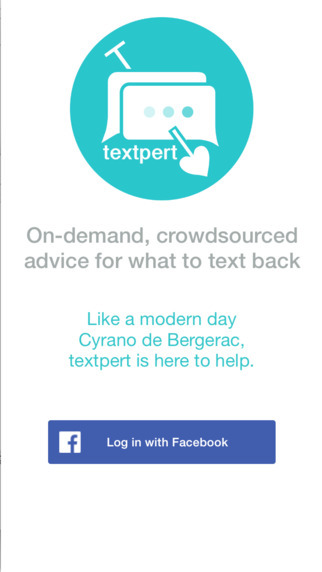 You can be the ultimate Textpert. The app maintains a leader board of Textperts based on the star ratings. Do you think you can climb to the top of that? Besides all this, the design and implementation of the app is well done indeed. There is a very interesting feature wherein the response you choose is automatically copied to your clipboard for you. You can use it as is or edit it to give it a personal touch. That part is completely up to you. 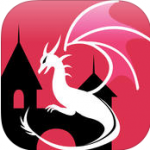 The app is available for free download in the App Store. It requires iOS 7.0 or higher versions and 14.6 MB of memory space on your iOS device. It is currently compatible with the iPhone, iPad and iPod Touch, having been optimised for the iPhone 5, iPhone 6 and iPhone 6 Plus. All said and done, this app can be a real life saver in a lot of tricky situations. For all you know, the love of your life might be waiting out there for you to ask her out in a romantic way. You just got to gather the courage, the right advice and go get her!